One of the most common pieces of feedback I receive about my blog is that people resonate with my voice. Which, is such a wonderfully affirming note that I am very grateful for. But honestly, hearing that, it brings me to my knees when I think of the journey I’ve taken thus far. Which, is such harmful thinking for so many reasons. But tonight, I wanted to just touch on something that we all have in common: our voice. Growing up, I was one of those vibrant, happy-go-lucky kids. I was constantly talking in goofy accents and playing dress up like a gal’dang professional, and at the age of five, begged my parents to put me into acting classes. And there began my lifelong love of the performing arts. 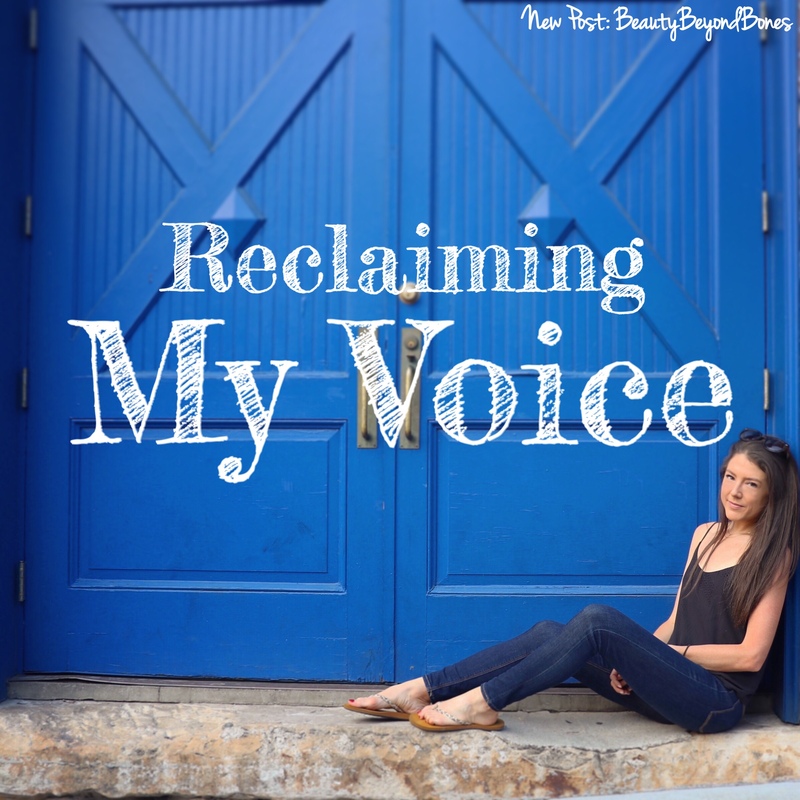 But my voice was always something that was a defining part of who I was. I loved singing, and I began doing musical theater professionally in the city from the age of 7 on, even starring in a television pilot that was a spinoff of Barney. But my voice was an integral part of me. My mom jokes that when I was a kid, we’d go to the park, and I would sing to all the old ladies sitting on the park benches. I loved to share my voice with whomever would listen. But my anorexia stole that. During my disease, I’ve already shared with you about how I chose to isolate myself from my friends and loved ones. Years went by where I would never return a text or pick up the phone. I wanted to be alone with my eating disorder, ashamed of who I’d become, and unwilling to relinquish the death grip I had on my destructive behaviors. I wanted to be alone. And I didn’t care who I hurt in the process. I became a meek, unsure shadow of myself, without a shred of self confidence, or self worth. And my voice reflected that. Aside from the, nearly daily, blow ups or standoffs that I would have with my parents — outbursts of rage over food, or weight, or doctors appointments — my voice was non-existent. I didn’t speak. I bottled up all the emotions and thoughts and fears and cries for help, and never uttered a word. I was screaming on the inside, but all anyone could see was a shrinking girl, desperately trying to disappear from the world, cowering away from prying eyes behind baggy clothes and hardened, vacant eyes. I remember so vividly that day at inpatient where I finally used my voice for the first time in probably close to 2 years. We were at chapel, and I had one of those knee-buckling experiences. I was overwhelmed by the Holy Spirit, and Jesus’ love and forgiveness finally broke through the fortress I had built around my heart. And He broke through. And I genuinely smiled and laughed and cried and just felt this soul-level joy that I can only attribute to Jesus. And the next thing I knew, I was singing. I was on the ground, this heaping pile of snotty tears, and laughing jubilation, and I was singing. I finally felt that freedom I had longed for for so long. I had let Jesus in, and opened up my heart – even just a crack – for Him to whoosh in and heal my broken spirit. My voice came back. As though, overnight. I began laughing and cracking jokes. I began to speak with a volume and command, as a young woman who had reclaimed what was rightfully hers all along. I looked people in the eye. Became engaging and lively again. Because ED could no longer silence me. Our voices are one of the most powerful tools we have in this world. A word can build someone up, or tear them down. It can inspire change in the world. It can heal wounds. It can pacify tensions, and create unity in divisive times. And when you couple your voice with your story, you become a force to be reckoned with. Because our stories matter. Each one reveals a glimpse to the heart of the Father, and the depths of His love for His children. I know my story isn’t extraordinary. I know that each and every one of us battle adversity and walk through challenges. But this is my opportunity, to use that which has been reclaimed. To share my story, in celebration of His victory over the darkness in my life. Lastly, the really powerful thing about voices is that yes, one is strong, and powerful and important. But when we all bring our voices together, we can create a symphony. Harmonies and melodies that are as intricate and beautiful as each individual contributing voice. A compilation of life-affirming sound that can drown out the negative noise in this life. Our voices matter. And whatever silencing force we may be up against in life, is no match for His restorative and redemptive power. Our voice is our power. Let’s use it for good. Next Post Pumpkin Bread Pudding! What a wonderful post. In Canada, today is Thanksgiving Monday, so I’m rolling with good vibes anyway, but your newsletter has been great to see on my device, and I cheered for you when I saw your tweet remembering ten years of recovery. It is great tidings. 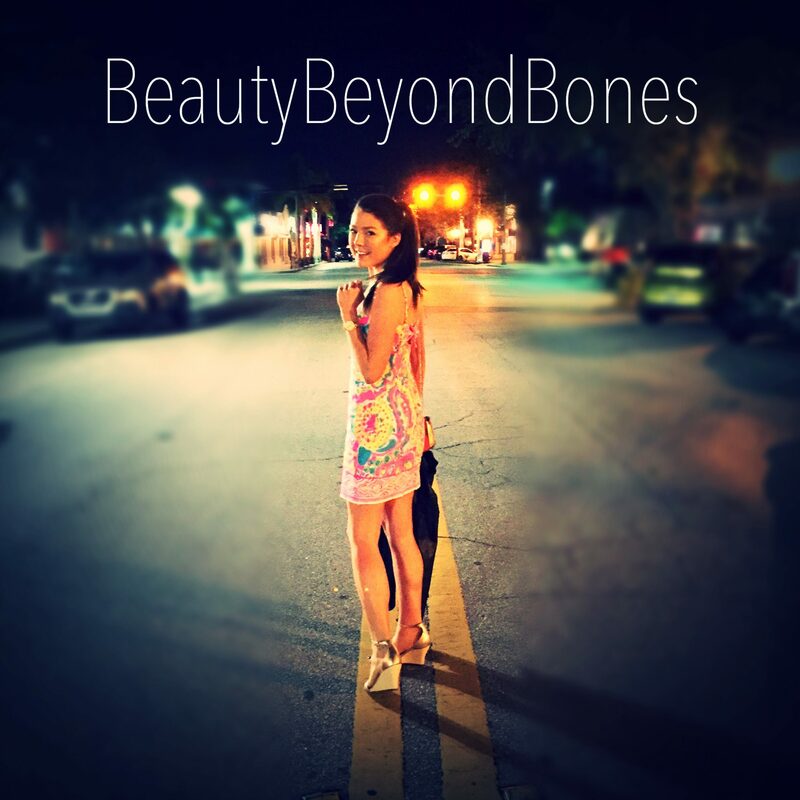 Keep up the extraordinary good job you’re doing with BBB! Very inspirational. By the way my son did get a new job. Thank you for your prayers. God said wait on Him and we did. Keep singing! Others are being helped and being blessed by you singing your story! Thank you for using your voice through the words you post too. There is just one little word that takes ordinary to the next level. Can you believe that you are the “extra” to make that happen in your life? God can take you to the limit and you through Him can be extraordinary!!! How great Thou art!! Can be your song of victory today! Sing!! Dear sister, keep singing! Great blog. I had anorexia & bulimia when I was young, brought on by my desire to please a man I loved very much. He would tell me with each 5 pounds I lost, “You would be perfect if you just lost 5 pounds more.” I never became perfect enough for him. I eventually tried to commit suicide when the romance failed. You are using your voice in a very powerful way to help others who suffer with these illnesses because they can’t ever see themselves as beautiful just the way they are. Bravo! Your Story has always been inspiring. And this just affirms what is burning in my heart lately! Too many voices have been silenced by situation and circumstances. It is time to speak, to inspire, encourage, and help one another to speak, to testify like you are doing here of your overcoming adversity just as in Revelations 12:11 Thank you for Your Story! Hugs and love! Just gave birth to a project on my Radiant Glory FB Page today, and to read this! So on time!. Thank you Caralyn! Oh that is so exciting!! CONGRATS!! Use that voice, girl! Woo!! Reading this took me back to meeting you and what an incredible experience that was for me. Now I understand better the strength of your eye contact and the, well, just your presence. I would never have expected your strength in being there, in the moment, making a connection. I had planned to greet you gently, softly, considerately. Instead I was suddenly in the grip of a Caralyn blast!! I thank God for your recovery for your sake, but also, selfishly, for your friendship. I hope many others read this tonight who wonder if they’ll ever have a voice again. I pray that they find hope and strength to open that door to Jesus so He can whoosh into their hearts too! Beautiful. Cool how lifting your voice to the Lord lifts and blesses so many who hear…me included. Thankful for your vulnerability and tenacity…and the song of redemption that resounds. Hugs. Welcome back Caralyn’s voice! It’s good you are here. The world is a better place now that you’re back. May God bless you and keep you and may the saving power of Christ be forever in your heart through the power of the Holy Spirit. Keep using your gift! Always remember to go forward!!! I love your reference to Psalm 40:3. The part that you did not hear is the part that says, Many will see it, fear, and trust in the Lord.” See a song? How does someone see a new song? In the life you live. Caralyn, people see the “new song” the Lord put in you. He has given you this tremendous platform to exalt Him. May people trust the Lord because of the great work they see in your life. My favorite sentence, “And when you couple your voice with your story, you become a force to be reckoned with.” Satan trembles at that reckoning because there’s nothing he wants more than our silence. Your voice is poignant, beautiful and true. Again you have blessed me! Powerful testimony. Thank you for opening yourself up and sharing. I’m so glad when you quote Scripture to support your positive statements. The two go together. Scripture and positivity. 🙂 What a life journey you’ve had. Sometimes God allows us to go through self-inflicted harm so that we can see how wicked satan is in tearing down the image of God originally planted in Adam and Eve. When we see that and come out of it we can relate to people struggling in a way that those who’ve never gone to the depths can understand or talk about. Only then can we be of help to others suffering and God grants us that privilege. I love everything about this! Thanks for sharing … lots to think about and celebrate here! I always love your honesty that you share in your feelings and writings. Your story about how voice and voices are important confirm how much you have spiritually digested after a long night of suffering. Yes, our voices, when bringing them together, are a symphony of togetherness, of love and harmony – and these voices already start in our thoughts: when we listen in silence we can hear this symphony, the divin music of the spheres, – and there we can hear and see behind such a beautiful melody that we are all brothers and sisters in Him… drops of the Ocean, each of us unique. “I know my story isn’t extraordinary. I know that each and every one of us battle adversity and walk through challenges.” How dare you say that about yourself! You and everything about you is extraordinary! Your impact on countless people every day is greater than you will ever imagine. Thank you for one of the most profound posts you have ever written. You are truly an inspiration in this old man’s life and one of the highlights of my day. You look so happy now. So glad you got your rhythm back. What a powerful post!! God blessed your story of victory as I read and absorbed the melody of the song it sang!! My journey through mood disorders has been similar but I never stopped singing. But I was blocking the joy and worship — just mouthing the words and tunes. God allows me the freedom to disappear from His path but I do not want to disappear anymore. The “Footprints in the Sand” poem is the story of my life. It is just so annoying to know the truth of it but have Satan block the feeling of being in God’s arms. My steps have been ordered by my God even when I was walking on His feet so to speak. Over the last 3-4 months God has been leading me to be a better friend to those around me and encourage and challenge them. This ministry He has given me is so affirming when the joy I feel in His service to these men is returned to me by their smiling faces and kind words of appreciation. Men are so vain. Pride keeps them from sharing their true selves. Prayer is difficult for many to audibly say with a group of men who want to know their hearts and their deep needs. They feel that no one understands or would understand these deep needs. So prayer requests at a men’s Bible study I attend are shallow and other directed. Rarely is a personal request voiced. It will take some men moved by the Spirit to be real and open so that others will loosen up and share the needs they have! Please pray for me as I attempt to carefully and prayerfully follow God’s direction in this area. My voice is ready to be heard. Maybe God will allow the opportunity I might have to lead worship this week on Wednesday, October 10, 2018 at 9:30 am PDT as a launching pad to a new openness among the men of our church. Pray with me that my voice will be strong in His power and that the Spirit will guide my speech for God’s glory!! My heart aches at the millennia of time spent by millions of people lost in these dark places, and oh how I wish at times that I couldn’t relate as well as I do. But then again, “the evil one is overcome by the blood of the Lamb and the words of our testimony”, and your testimony is truly a sweet song indeed. Prayers that your many endeavors prosper and that our gracious Father continues to receive the glory through lives being touched and inspired through your story and light. More power to you for sharing this story with your readers. It’s not easy to be vulnerable but you showed me just how important it is to write your story. You only get an opportunity to do life once and while we’re here we should live it the best way we know how and help everyone around realise that it does get better in the end. I’m happy to know you’ve healed from your ED and I hope and pray more people get to read this and spread the positive message. Our voice is the only thing that will separate us from the rest with out our voice those that around us would be def by the enemy lies speaking to them, God has given us a voice to speak truth, share hope to the lost and those hearts that are broken and shattered , we must not be afraid to open our month and sing and speak truth in this life. Beautiful, just beautiful. I’m overjoyed that you found your voice. That was beautiful! I love that you’re using your voice to share your story and bring him glory! Really excellent thoughts. So many things can steal our authentic, God-given voice. The world, the flesh and the devil all conspire against us – but the Holy Spirit is with us. This is such a powerful entry!!! Thanks for sharing! For me today. 💜 Thank you. Very thoughtful and beautiful post, as usual Carolyn. I think because talking is such an everyday occurrence we’ve lost the sense of magic and power that it has. But like some writing site (I can’t remember which) said, words can be diamonds or they can be daggers and e get to choose which one they will be. I’d like to say too–you always find great backgrounds for your pics. Your teeth do seem supernaturally white, now that you mention it! Grateful for the way you allow the Lord to express love through your voice. Needed to read this when I did. Hi Caralyn: you continue to bless more people, in more ways, and for blessings received, I must be at the top of the receiving list. I believe also, that you are a very blessed person. In all you write, and I would say do as well, you plainly let all know that it is Jesus Christ in you who has made the difference. The more blessings you give out to others, whether one to one, or in a mass publication, Holy Spirit knows exactly, and pours more than enough back into your life to do it all over again. There is no way we are able to out give God, and He lives to bless His people so they can bless others. As I read your posts, Caralyn, I am reminded of the parable Jesus told about the man who gave three of his servants bags of gold, one received 10 bags, one received five bags, and the other received one bag. On the man’s return home he called the servants together asking what they did with the bags of gold.the first two men, with the tenbags and five bags, wither to double the amount. The man with one bag had buried his, so still had the one bag. That is how I see you Caralyn. You use all that God has given you, and you multiply it and give it all away through encouraging, writing, singing, helping others in a variety of ways, using all that you have received from our Father. You have a great voice. Thank you for sharing it. I myself had to overcome tons of adversity, and I still do to this day. But I listen to the voice of truth (Jesus) who tells me to keep going. You are very graciously welcome. YOU give me inspiration. Hugs and love back. I love how God met you in the darkness moments like the woman at the well whose voice was silenced by the shame that gripped her. But when Jesus met her, she went to the whole town to proclaim what Jesus had done for her. He gave her a voice that would turn the whole town to Jesus. I can’t help but wonder the striking similarities in your story. It shows God’s faithfulness in the past but also in the present that He can be trusted with our shame and brokenness. He turns water into wine. Thank you for liking my post from yesterday… I actually thought of your post (this one) when I was writing it. Both are about reclaiming the value of our words and our selves. God is good. Also, to Frankie Choi: I love your comment. Amen and amen! I love this post! Each of us has a journey and a story to tell about it. He will use it for His glory if we let Him. Thank you for yielding to the power of the Holy Spirit in order to help others. I totally understand. Mental and physical disorders feel totally controlling but you have to remember God knows all and is giving you this struggle for a reason. This will benefit you for the better in the end. I have OCD so I totally can relate.